Attorney Michael A. Dempsey's work on behalf of injured clients is quickly becoming recognized for excellence across the United States. Attorney Dempsey has been honored by The National Academy of Personal Injury Lawyers. He has also been named a Pennsylvania Super Lawyer as published in Philadelphia Magazine. Attorney Michael A. Dempsey is an aggressive litigator whose professional practice interests lie across all areas of Personal Injury Law, including litigation and alternative dispute resolution, as well as Workers Compensation Law. Attorney Dempsey is also a member of the Firm's School Law Department where he protects the rights of Special Education students as well as bullied students who have been the victim of physical or emotional abuse. Michael A. Dempsey is the third generation of the Dempsey family to practice law at the firm co-founded by his late grandfather, William J. Dempsey, Esq. Attorney Dempsey enjoys leveling the playing field for those innocent victims who find their claims either denied by large insurance companies or who receive settlement offers that are far below what these injured victims need to meet day to day living expenses and long term medical care. Michael A. Dempsey has represented hundreds of such innocent victims. When not spending time with his growing family, Michael A. Dempsey devotes himself to charitable and community causes. He has been honored for his work with the Cystic Fibrosis Foundation as one of "Philadelphia's Finest Young Professionals," (Northeastern and Central Pennsylvania are covered by the Philadelphia region of Cystic Fibrosis). In addition, he received the "Good Works in Lackawanna County" Award from the County Commissioners. 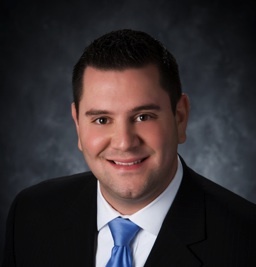 Michael A. Dempsey is also an elected Councilman for the borough of Dunmore, PA. He is an elected Board member of the Lackawanna Bar Association Young Lawyers Division and is a member of the Pennsylvania Bar Association, The American Bar Association, The American Association for Justice and The Pennsylvania Association For Justice which fights for the rights of the injured to pursue claims against corporations and insurance companies. A Dunmore native, Michael A. Dempsey received his law degree from the Widener University School of Law and his undergraduate degree from The University of Pittsburgh. As a young law student he was honored with the CALI Excellence For The Future Award and a Pro Bono Distinction Award from The Public Interest Resource Center. Attorney Michael A. Dempsey is admitted to practice before the Supreme Court of Pennsylvania, the United States District Court for the Middle District of Pennsylvania and the United States Supreme Court. Michael A. Dempsey, as well as all of the lawyers at Lenahan & Dempsey, offer free consultations and never charge a fee unless they are successful getting you the money you deserve following a serious injury. Have a question about a possible case? Call Attorney Michael Dempsey at 1-888-536-2426.